That infamous ‘h-e-double-hockey sticks’ word gets dropped. Our main character has a child out of wedlock then goes on a streak by becoming a notorious night club singer whose roster of lovers is fairly long (whom she eagerly helps with their lumbago pain). She also drinks a lot and at all times of the day. Before we start, let’s make sure we’re all on the same page: a torch singer is an expert in warbling sad, sentimental melodies. And if you’re looking for someone who’s had some experience with sadness, today’s movie serves her up to you in spades. Sally is an out of work chorus girl. She’s pregnant and doesn’t even have enough money to cover the taxi ride to the Catholic clinic. There she refuses to divulge the name of her child’s father, but crying for him in the deepest pangs of her labor. She has a beautiful daughter who she names after herself, but then must give up when employment opportunities become painfully scarce. 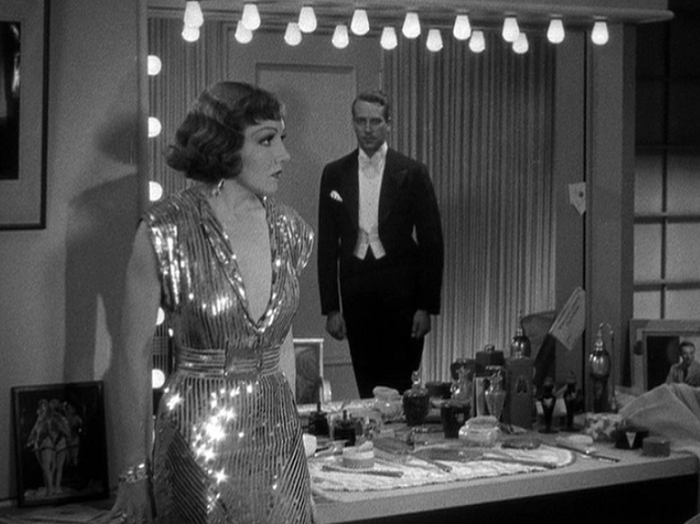 This little slice of sadness is wonderfully compact, relying heavily on visuals (the band aids Sally has on her ankles as she shuffles about looking for work is painfully evocative) and Claudette Colbert’s tear ducts. The prospect of having to give up the child she’s doted upon and struggled for is killer– even her attempt to swallow her pride and ask the father’s family for help is rebuffed. It’s touching stuff. Four years later and Sally has become Mimi. (We’ll refer to her as Mimi from here on out since there are other characters known as Sally and Jenny, and this makes the film sound like a screwball comedy from just this one sentence.) She’s been put through the paces of the entertainment world and has earned a reputation, not just as an entertainer but as a woman who encounters a lot of men and sly smiles. Through circumstances too goofy to recount, Mimi, the most notorious woman in New York, becomes the hostess of a 15 minute children’s radio show. Known as ‘Aunt Jenny’, she coos bedtime stories and lullaby’s, thinking its a riot until she realizes its an opportunity to reconnect with her long lost child. The film fits in with a number of early 30s melodramas like Frisco Jenny wherein a mother is forced to give her child and ends up regretting it years later. The maternal instinct is reawakened down the line, though this time around we’re thankfully spared an overwrought trial to cap the film off. Instead, Mimi crafts a contest to pinpoint her daughter, with a legion of detectives and nuns either unwilling or unable to help her. Two men are in Mimi’s life: a radio station manager named Tony who stands by her, and Mike, the man who left her after he knocked her up. It’s okay about Mike, though, he was in China for the last four years and had no idea the child existed, and felt really awful because Mimi sure was a swell gal. The love triangle is barely there. The real love in the film is set between Mimi and her lost daughter, a sense of maternal devotion that reverberates through all of her acts. Every switch that Mimi goes through it’s because of her daughter– she becomes a torch singer to forget, and reemerges as a human when she realizes she has the means to overcome the obstacles that had faced her before. It’s a lovely moment, and shows the sensitivity in this film between mothers and daughters of all ages and races. That devotion is healthy, right, and, once awoken, nearly impossible to stop. Let’s talk about the film’s ending, because it is often commented upon as a sore point for some reviewers (and rightfully so). The cards pour in but offer few leads. 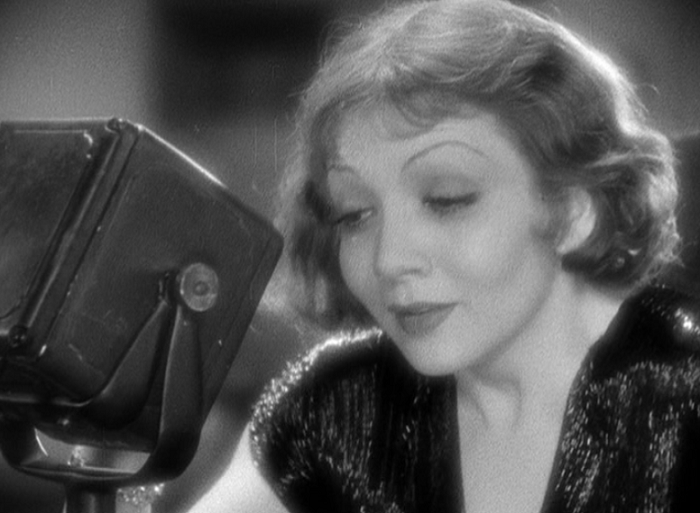 As any hope of finding her daughter grows grim, Mimi goes on a days long bender– something you don’t see women do much outside of pre-Code films and real life. Tony fetches her to make a radio appearance since a girl with the correct birthday has written in, but didn’t include an address. Mimi’s Aunt Jenny struggles to the microphone and begs for the girl to phone in. And, as contrivance would have it, the little girl does. Mimi arrives the girl’s house to find Mike there. He’d gotten the little girl a week ago after learning she was his. This is glossed over, but the implications are damning. Mimi used all of the money, power and reach that she possessed to accomplish something her deadbeat ex-lover accomplished with no hassle. His wealth and reputation were sufficient to take the young girl from her other adoptive parents with no sweat expired. A depressing, if realistic, thought. Since the film’s plot is one of reunification and not romance, it’s hard to buy the film’s final moments of unity. Mimi wants her daughter, Mike has her daughter, and Mike wants her, and Mimi is essentially blackmailed into the family. While it fades out with her smiling, it’s hard to imagine that the road ahead is any smoother than the ludicrous one we’ve already been down. For all of the nice moments between people of different races in this movie, let’s not talk about that doll on the left. 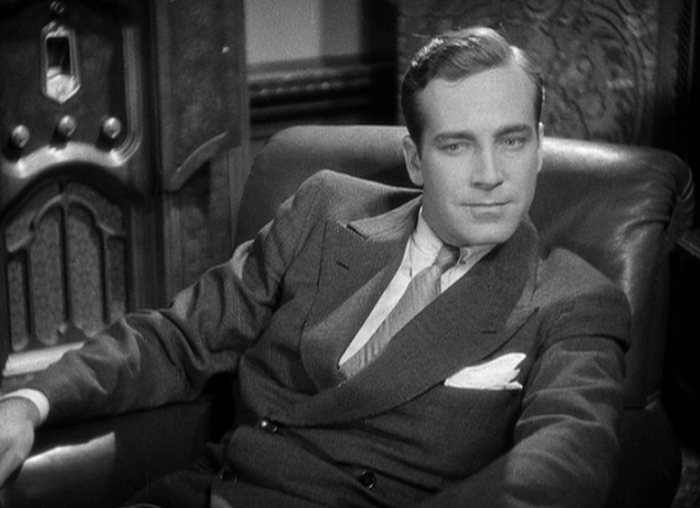 As for the cast of the movie, Ricardo Cortez is fine, if ineffectual; the movie definitely feels like every scene of romance between him and Colbert has been unceremoniously chopped out to pave way for the finale. David Manners isn’t much luckier in a rather bad role, forced to play a deadbeat dad who turns into a genie to suit the denouement. There’s a few notable supporting turns, too. Mildred Washington as Colbert’s maid plays someone closer to being a confidant and shows a great deal of vitality and playfulness in the part. Thick-accented Lyda Roberti has a nice bit as Mimi’s temporary friend until a boss’s grabby hands a new marriage splits them indefinitely. Roberti was also in Million Dollar Legs as the seductive Mata Machree, and the change to a down on her luck working mom is impressive and wonderfully realized. But Colbert is where the real action is at, and on that front she delivers. Mimi is seductive and freewheeling, but you can see the change in her temperaments simply from her body language. It’s her suffering that makes the film work when it does. 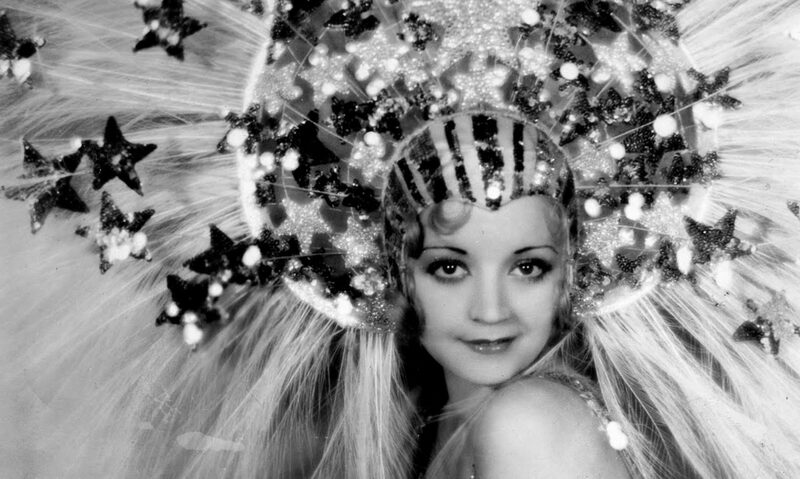 But that leads me to my biggest problem with the film– despite the happy ending that isn’t and the reputation of its main character, Torch Singer is too tidy, too compartmentalized. I know this is a cliche for those of us with 80 years of history to look back on, but had this been made at Warners or Columbia, the dingy streets Mimi has to walk down may have had some oomph. At Paramount, even the darkest moments effect a sense of breeziness. There’s a lot of gliding and too often the film falls down on contrivance or cliche. There’s a lot of genuine imagination and creativity here, but because it has to end with Mike being on the staircase sitting next to her, the film also feels like all of the air is let out. Without Claudette and a few nicely realized moments, it may as well just be wallpaper. Not related to the 1953 Joan Crawford vehicle Torch Song. Not that anyone but me would think of that anyway. But Colbert doesn’t play this transformation in a self-pitying way. She keeps her cards close to her chest. She doesn’t show us too much. What we see is a woman who has shuffled off the past, and is now fully living in oblivion. It is essential that she not give herself quiet time or time for reflection, because then all she will see will be the daughter she gave up. This is just my interpretation, because again, none of that is expressly shown in the script. And instead of sitting back judging the bad girl, I ache for what she is running from. I know it will catch up with her sooner or later. Toby Wing shows up as a random party guest there next to Claudette. Smile, Toby! 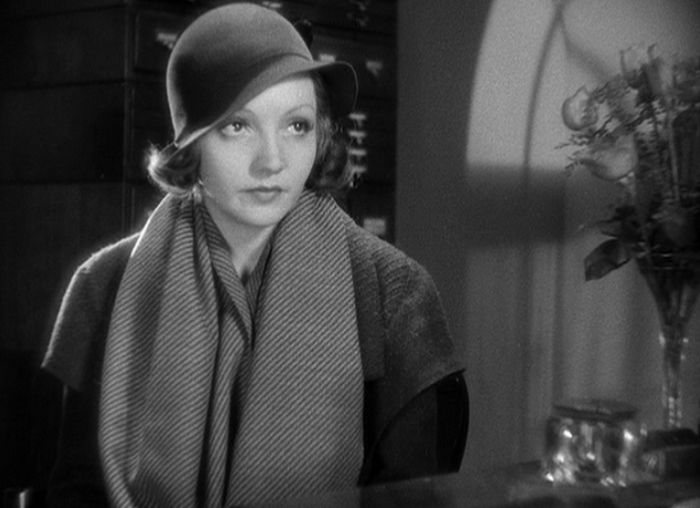 Glenn Erickson at DVD Talk chalks this up as a win thanks to Claudette Colbert’s likeability. 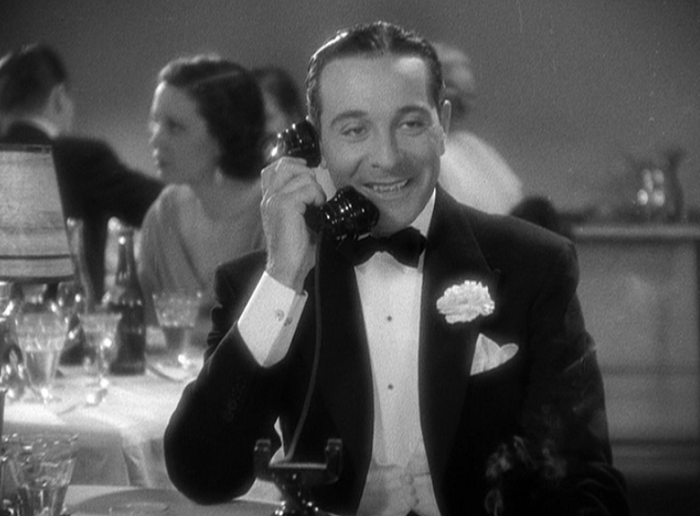 He also reviews the rest of the Universal pre-Code set for anyone who’s curious. 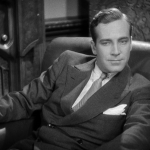 This film is available in the Universal pre-Code Set along with The Cheat, Hot Saturday, Merrily We Go to Hell, Murder at the Vanities and Search for Beauty. It’s a steal over on Amazon, so get it! I didn’t realize until I read your write-up, Danny, that I’ve never seen this entire movie. I thought I had, but I think I bailed around the time that Colbert was getting soused and doing her radio show with an apartment full of equally soused hangers-on. In any event, I will be checking it out post haste. 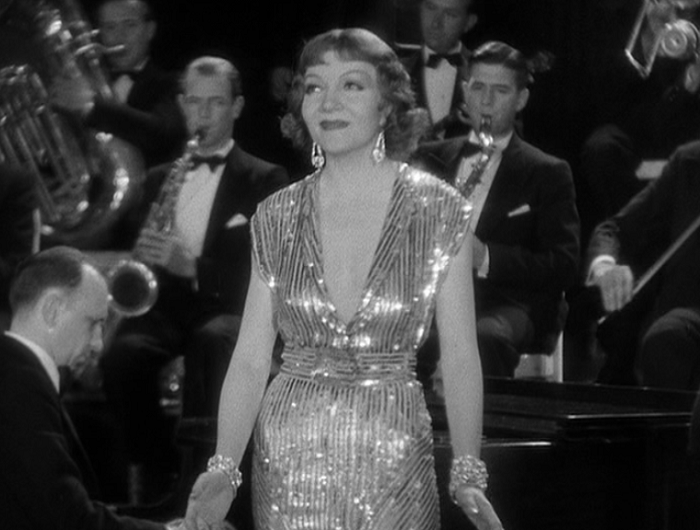 I’m really not a huge Claudette Colbert fan (although I do love certain movies of hers, like Three Cornered Moon and Midnight), and I suspect that’s why I didn’t give this one more of a chance. I really want to see more of Mildred Washington, though — I assume that’s her dancing in your gif? And Lyda Roberti, too — I’ve only seen her in a couple of movies. Anyway, I greatly enjoyed your review, as always! Well, if you really gave up when you say you did, you’d have already have seen all of Lyda Roberti in there. And, yes, that’s Mildred shaking a leg! Torch Singer is a weepie, through and through. It seems like it’s up your alley, so if you do watch it again, let me know what you think! 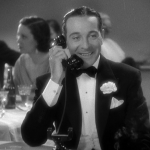 I wondered if this was the same David Manners from “Dracula”. Well, your one-liner made me laugh out loud. Great review. I try and track this movie down. Thanks! 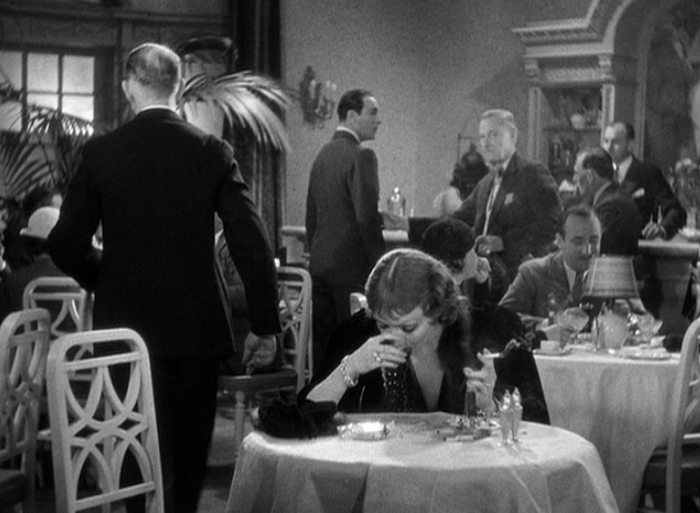 It’s luckily in the pretty cheap Universal Pre-Code set. Hope you like it! I actually liked it. And I found it believable. When you consider just how little two people knew each other prior to marriage in those days, it’s actually quite believable. The pre-code genre actually helped the film quite a bit…after 34′, you wouldn’t have seen a film with unwed mothers quite like this. Very true. The movie definitely has its moments, I just don’t think it gelled for me. …OK , hereith goeth ~ ” TORCH SONG TABLOID ” ~ ? There was an edit-down of this film to a sort of long short ( ” featurette ” ?) of this , I saw it some years back at a film society/group a while before I ever saw the full feature . This wasn’t ” an censored/TV-cut version ” , it was a complete , correctly edited short , with a proper title card ! My obvious thought , as alluded to above , was that this was some post-enforcement to get some mileage out of an otherwise non-rerelasable old film ~ Perhaps even meant for market beyond ” normal ” Bijous , such as the shorts-oriented ” newsreel theaters ” that used to exist or some early Castle Films-style ” movies to show at home ” concept ? I know that I saw it . BTW , my use of ” tabloid ” above was not referring to journalism/newspapers so much as a now-archaic?? meaning of a ” tabloid ” – condensed – version of a Broadway or other ” big-time ” stage show for secondary markets/the road/casinos – A phrase that might have been used in a Pre-Code 🙂 ?